Are you trying to boost your fingernail growth? Women of all ages can have a hard time trying to grow out their natural nails, which is why we often turn to gels and acrylics. If you want to say goodbye to artificial nails and you want to grow your nails naturally, then this article on how to make your nails grow faster is for you! Our fingernails made of several layers of a protein called keratin. When we’re not consuming a lot of healthy foods and proteins containing keratin, our nails can become brittle and weak. So, if you are trying to grow healthy nails, here are the top six ways to boost nail growth naturally. Biotin is a vitamin which helps our body create energy, promotes nail and hair strength and growth. This vitamin can be found in some foods or taken as a daily supplement. When you’re doing housework try your best to protect your nails as often as possible – especially if your nails are already brittle and prone to breaking..
For example, try to wear a pair of rubber gloves when doing any gardening, dishwashing, or scrubbing tasks since the chemicals in these products can ruin your nails durability. Also, try to avoid low temperatures and overexposure to cold water since these two factors can weaken your nails. 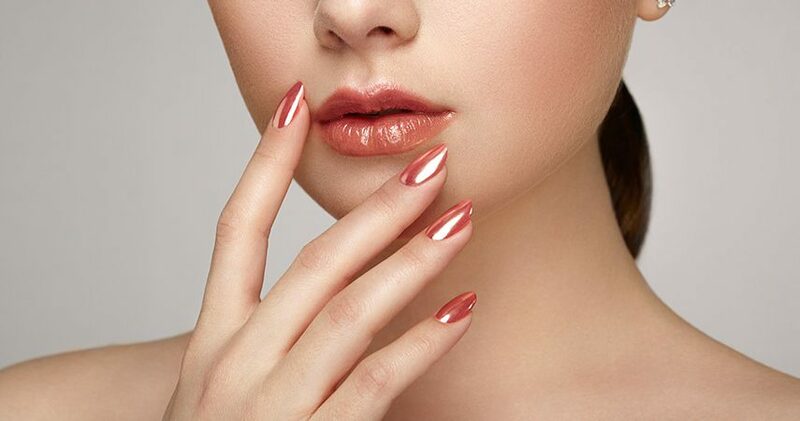 If your nails are soft and bendable, then consider purchase a high-quality nail-boosting serum or a nail strengthener to prevent your nails from further damage. You should apply nail strengthener products like typical nail polish for seven days a week, and then remove it with a nail polish remover. Many nail experts believe that this is a good trick, but it only works in the short-term. Often exposure to nail strengthening polishes may cause your nails to become too sensitive and prone to breakage, so make sure you only turn to this remedy once a month – and no more than that. Make sure to keep your hands, fingers, and nails hydrated at all times. One of the easiest ways to keep your hands moisturized at all times is by carrying a hand lotion with you and then massaging it into your skin and nails every couple of hours. When at home, apply some cuticle oil around your cuticle area – especially after trimming your nails. By keeping your cuticles healthy, hydrated, and pushed back, it will help your nails grow faster. 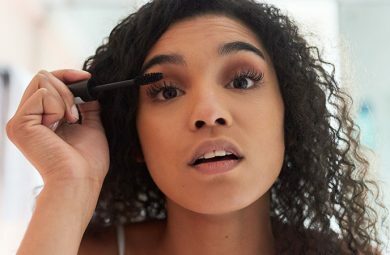 Take a break from nail polish, glue-on nails, acrylic and gel manicures, and embrace your natural ones for three to four weeks until they grow a bit stronger and healthier. Artificial nails and some nail polishes are known to weaken your natural nails and cause them to become brittle. Growing stronger and healthier nails is very similar to hair. Trimming your nails can lead to healthier, stronger, and faster-growing nails. You’ll want to make sure you cut your nails them once a week. 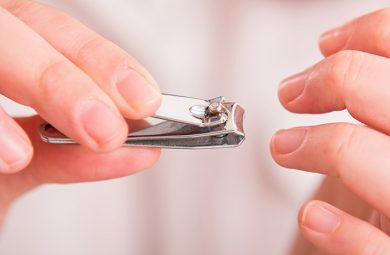 Also, always make sure your clippers or scissors are clean and free of any product since dirty tools can cause nail and cuticle bacteria which in turn can damage your nails. If you notice your nails are prone to breakage, easily peeling, discolored, a lot thinner than they used to be, are often bleeding, and/or slow-growing, there could be some underlying reason. You may have a nutritional deficiency or deficiencies which are causing this issue. Your hormones are unbalanced or deficiency. You’re biting your nails too often. Your age and gender. Younger people and women have better nails, while men and pregnant women have thinner and slow-growing nails. 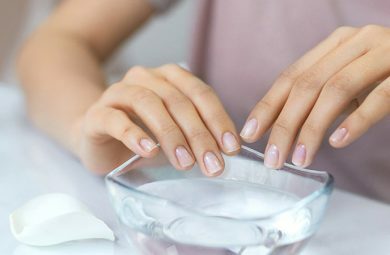 Now that you’re aware of what could be causing your nails to be weak or slow-growing, you can try the above-mentioned natural ways to grow your nails faster and healthier. Also, keep in mind to give each nail growth method three to four weeks before switching to a new one.